It doesn’t matter what type of property you’re living in you’ll eventually have to deal with a gas, water or oil leak in your home – it’s just the law of averages and not something that’s your fault. When it comes to finding the source of these leaks there are two basic approaches that a plumber can take. The first, and older, approach is using a brute force method and guesswork that involves a lot of digging, drilling and mess throughout your home. Then there’s ADI method of leak detection which uses very advanced leak detection equipment and instruments to perform a completely non-destructive investigation on the interior or exterior of your home. Where ADI also differ from many of our competitors is that we don’t just offer a domestic leak detection service – we’re equally happy and ready to deal with commercial and industrial leak detection requests and have performed investigations for customers of all sizes over the years. And not only do we find the leaks but we can repair them once we’ve tracked the problem down. And to top all of that off we also offer very competitive pricing for the extremely high standard of work that we carry out for each of our customers. Providing a high quality service for each of our customers has been the main drive of our business and always will be. 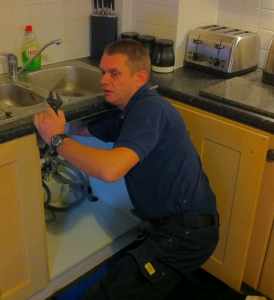 Call us FREE now on 0800 731 3848 to have a chat with one of our engineers about your leak and what we can do to solve it.